Excavations conducted by a team of archaeologists over three years have unearthed artefacts indicating that Vizhinjam, the site for a proposed international container transhipment terminal, could have been one of the earliest port towns along the south Kerala coast, with a maritime history dating back to the first or second century BC. The excavations, which began in 2010, were conducted by a team led by Ajit Kumar, Head, Department of Archaeology, University of Kerala. 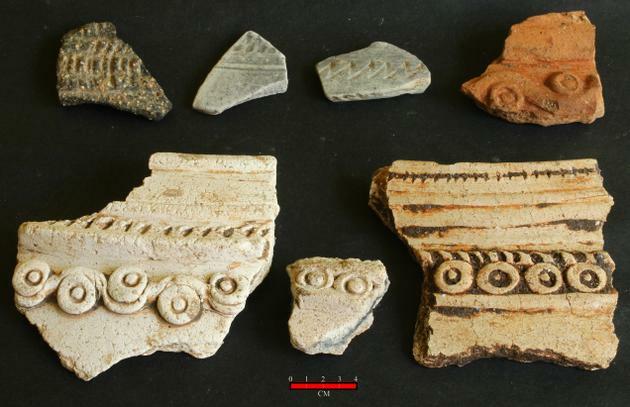 The findings of the project are based on the discovery of pieces of ancient pottery such as shards of rouletted ware, amphora, BI-glazed ware and torpedo jar from the excavation site. Rouletted ware, Dr. Kumar says, is an excellent chronological indicator and is believed to have had its origin in the Bengal region and had been in circulation from the second century BC to the second century AD. The amphora ware dates back to the first to the third century AD, while the BI-glazed ware had its origins in West Asia and is datable to the early Christian era. Dr. Kumar says the excavations had, for the first time, unearthed constructive evidence authenticating the maritime trade links of Vizhinjam extending from the Red Sea to the eastern littoral region of peninsular India and beyond to Far East Asia. He says it supported earlier suggestions that this port could have been Balita, a port that finds mention in The Periplus of the Erythraean Sea, a Greco-Roman account of maritime travel and trade in the Indian Ocean by a merchant of the first century AD, or Blinca, mentioned in the Peutinger Tables(fourth Century AD). “The evidence of large quantities and variety of torpedo jar shards and turquoise-glazed ware point to brisk trade activities with the Persian Gulf and West Asian region during the medieval period (sixth to 10th century). The Ay chieftains from Vizhinjam probably perpetuated the early medieval trade activity from Vizhinjam,” he says. 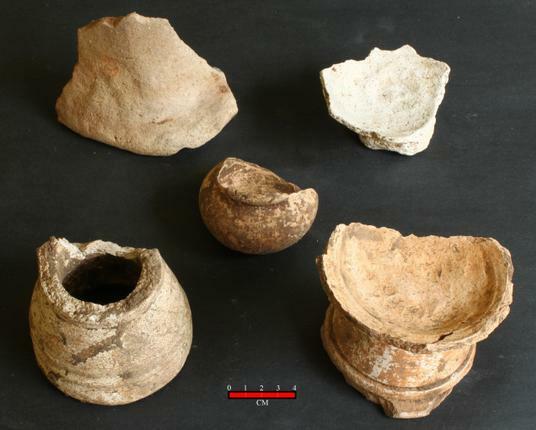 During the course of the excavations held near a centuries-old temple at Vizhinjam, the team discovered local pottery types and portions of dwellings. A bowl-on-stand dating back to the early historic (first to fourth century) or medieval (fourth to sixth century) period, coins, glass beads and semiprecious stones like carnelian (not locally available) were also found. Dr. Kumar says iron slag and crucibles recovered from the site supported medieval epigraphic records highlighting the importance of Vizhinjam as a prominent arms manufacturing station of the Ay chieftains. The discovery of the broken leg of a figurine datable to the eighth or ninth century provided evidence of the lost wax technique for casting bronze images in this region in early medieval times. The team also discovered a Siva Linga dating back to the eight or ninth century AD, throwing light on the Shaivite religious history of the region. “No other port boasts a continued or continuous maritime history and trade of over 2,000 years. Vizhinjam’s tryst with international maritime trade will continue with the establishment of the container transhipment terminal,” Dr. Kumar says.